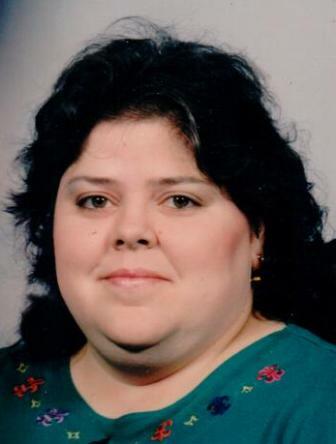 Mrs. Jan C. Sherwood, age 51, of Salamanca, New York died Tuesday morning, June 23, 2015 at Olean General Hospital, Olean, New York, following a long illness. Born March 7, 1964 in Chambersburg, Pennsylvania, she was the daughter of the late John and Elois Stern Shauf. She was married on October 1, 1993 to Mr. Jody Sherwood, who survives. Mrs. Sherwood was a graduate of Angelica High School and attended St. James Nursing School in Hornell, NY. She was employed as the Recreation, Activities, & Respite Director at the Allegany Regional Development Corporation for eight years. She had previously been employed at the College Park Nursing Home (Absolut of Houghton), where she started as a Nurse’s Aide and finished as a Recreation Director. She had also been employed as the Recreation Director at the Cattaraugus County Department of Aging Linwood Centers, a family care provider for 21 years, a Certified Home Health Aide for Homecare & Hospice and private duty care, a Group Home Aide for the Rehabilitation Center, the Activities Director at St. Joseph’s Manor and the Absolut of Salamanca, and was employed at the former Park Pharmacy in Salamanca. She was a member of the Southern Tier Director’s Association, the Faith Lighthouse Chapel in East Randolph, NY, and the Lions Club. She was an avid piano player and enjoyed going to yard sales. Surviving besides her husband are: two brothers, Jay Shauf, Fayetteville, PA, Jon Shauf, Salamanca, NY; a sister, Joy Shauf, Alexandria, VA; several nieces and nephews. Burial will be in Maple Grove Cemetery, Friendship, New York at the convenience of the family. In lieu of flowers, the family suggests memorials to the Allegany Regional Development Corporation’s Lyman Fund.